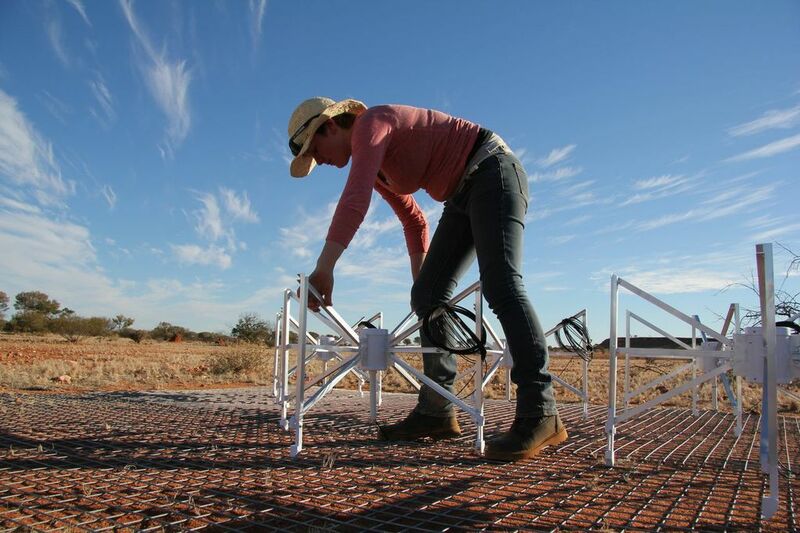 ICRAR-Curtin University student Kim Steele constructing part of the MWA. Credit: Kirsten Gottschalk, ICRAR. The first of three international precursors to the $2 billion Square Kilometre Array (SKA) telescope, the MWA is located in a remote pocket of outback Western Australia. It is the result of an international project led by Curtin University and was officially turned on this morning by Australia’s Science and Research Minister, Senator Kim Carr. 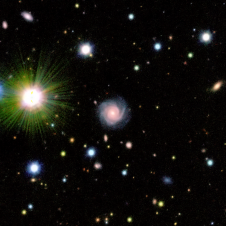 The MWA will also give scientists an unprecedented view into the first billion years of the Universe, enabling them to look far into the past by studying radio waves that are more than 13 billion years old. This major field of study has the potential to revolutionise the field of astrophysics. “This collaboration between some of astronomy’s greatest minds has resulted in the creation of a groundbreaking facility,” Director of the MWA and Professor of Radio Astronomy at Curtin University, Steven Tingay said. The development and commissioning of the MWA, the most powerful low frequency radio telescope in the Southern Hemisphere, is the outcome of nearly nine years’ work by an international consortium of 13 institutions across four countries (Australia, USA, India and New Zealand). The data will be processed 800 kilometres away at the $80 million Pawsey High Performance Computing Centre for SKA Science, in Perth, carried there on a link provided by the NBN and enabled by AARNet. The MWA will be the Pawsey Centre’s first large-scale customer. Nine major research programs were announced at the launch, with more than 700 scientists across four continents awaiting the information the telescope has now begun to capture. “Given the quality of the data obtained during the commissioning process and the vast areas of study that will be investigated, we are expecting to see preliminary results in as little as three months’ time,” Professor Tingay said. “This is an exciting prospect for anyone who’s ever looked up at the sky and wondered how the Universe came to be. 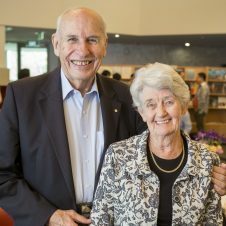 Under Professor Tingay and fellow colleague Professor Peter Hall’s guidance, Curtin University has been awarded a $5 million grant by the Australian Government to participate in the SKA pre-construction program over the next three years, with the MWA’s unique insight being used to develop a low frequency radio telescope that is expected to be 50 times more sensitive. The MWA has been supported by both State and Federal Government funding, with the majority of federal funding being administered by Astronomy Australia Limited. The MWA project recognises the Wadjarri Yamatji people as the traditional owners of the site on which the MWA is built and thanks the Wadjarri Yamatji people for their support, as well as that of Astronomy Australia Limited. The MWA launch event took place simultaneously at the Astronomical Society of Australia’s annual scientific meeting hosted at Monash University Melbourne and the Murchison Radio-astronomy Observatory in the Murchison, Western Australia. Professor Steven Tingay, Director of the Murchison Widefield Array, will be available for media interviews on Tuesday 9 July, Wednesday 10 and Thursday 11 July. Professor Rachel Webster, The University of Melbourne, Epoch of Reionisation (Highest ranked science). Professor Martin Bell, University of Sydney, The MWA long-term radio sky monitor. A range of still photography and pool vision is available as well as a selection of audio visual material to support this story. These can be accessed directly via Dropbox and used with appropriate credits.